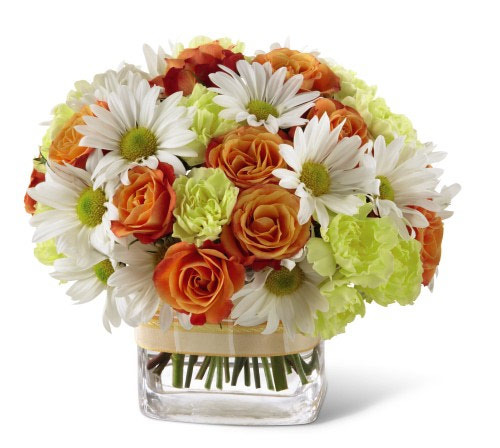 This bouquet shines with bright and vibrant blooms. 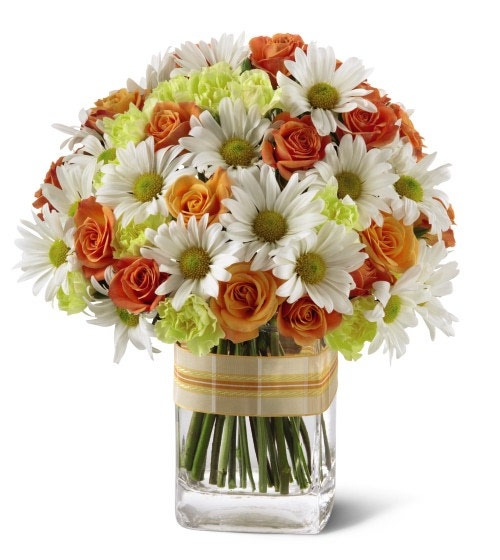 Orange Spray Roses, yellow Miniature Carnations, white Daisies arranged in a clear glass container with a decorative ribbon. Perfect for any celebration. 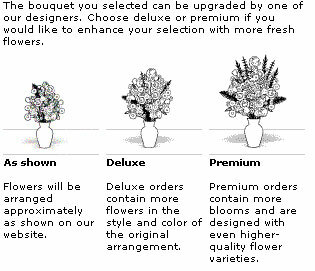 Description: This bouquet shines with bright and vibrant blooms. 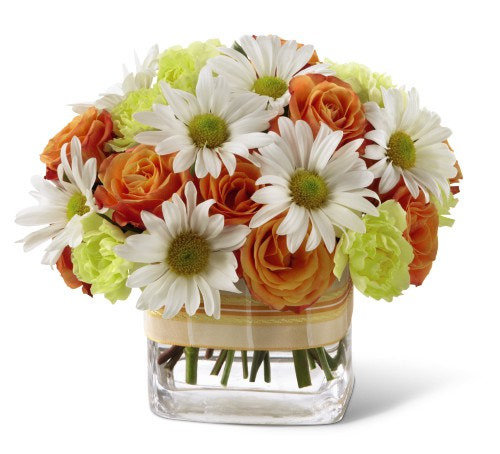 Orange Spray Roses, yellow Miniature Carnations, white Daisies arranged in a clear glass container with a decorative ribbon. Perfect for any celebration.